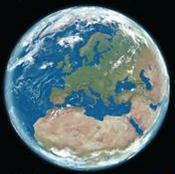 Routledge is the leading global publisher in the interdisciplinary field of Environment & Sustainability studies. 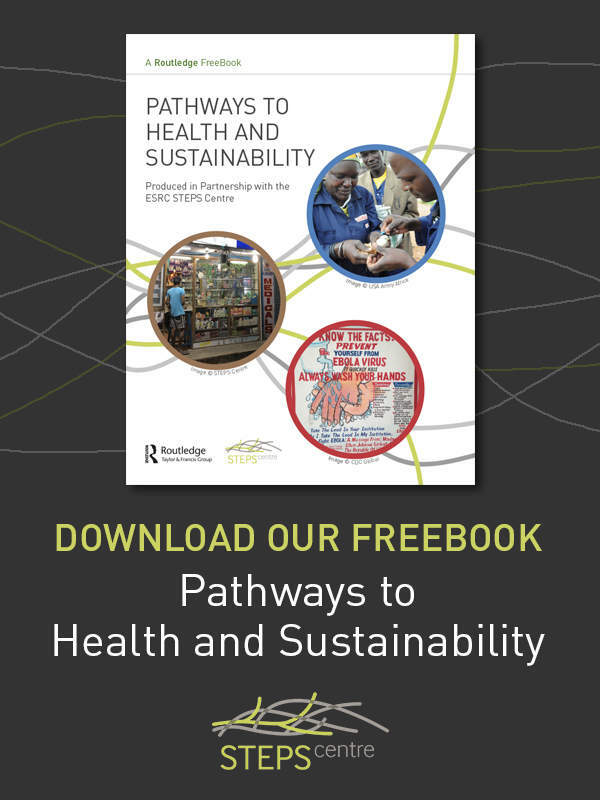 Routledge is proud to publish across all areas of sustainability and the environment bringing the latest research on climate change, natural resources, sustainable energy, business and development to a global audience of researchers, students, sustainable practitioners and anyone interested in creating a sustainable future for all. Marilyn Waite, author of Sustainability at Work: Careers that make a difference has written a fascinating article that will help everyone who wants to have both a successful career and a career that makes a positive difference in society. You can also check out Marilyn's first article 4 Ways to Pursue Sustainability In Careers. Read both here. We've compiled valuable climate change content that echoes the themes of COP21. Download our Climate Change Research FreeBook, read author blog posts and interviews, and discover some of our newest titles on climate change! Learn more here. Megan Epler Wood, author of Sustainable Tourism on a Finite Planet: Environmental, Business and Policy Solutions is Routledge Environment & Sustainability's latest Featured Author. Read our interview to discover more about about her new book and view an excerpt from her book here: Read Excerpt. A complete listing of the textbooks published by Routledge in the fields of Environment & Sustainability and Energy. We are pleased to bring you all our professional titles in one place, covering topics ranging from Solarto Wind to Energy Policy. We are pleased to bring you all our professional titles in one place, covering topics ranging fromSustainable Development to Climate Change to Water and Oceans. An interdisciplinary collection bringing together the best in Food Studies scholarship. 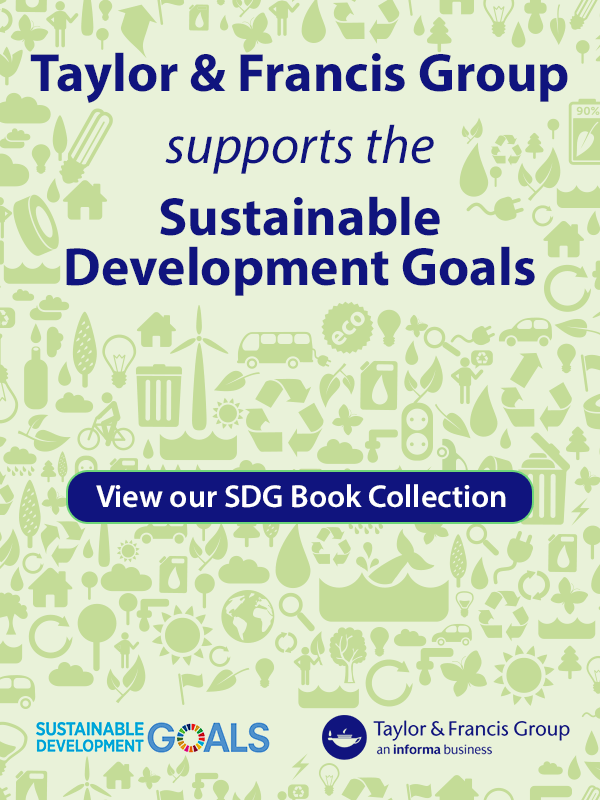 Routledge is pleased to publish an extensive range of books on the rapidly growing and evolving field of sustainable development. This collection brings together our recently published title in this fascinating area of study. RFF Press, an imprint of Routledge/Taylor & Francis, publishes pioneering research in environmental economics and natural resource policy. This collection contains key textbooks, cutting edge research and titles for professionals, from new and established authors in the field of Sustainable Business and Environmental Economics. From key research on vital topics, to textbooks for undergraduate and postgraduate courses, you will find whatever you need to further your own research or professional interests, challenge your students, and provide essential reference materials for your institutional library. Hannah Ferguson commissions books for the Environment & Sustainability list at all levels, including textbooks, research monographs, handbooks, and titles aimed at the professional and policy-making audience. Subjects include food and agriculture, ecology and conservation, natural resources (including land use, freshwater, oceans and forests), and sustainable development from a multidisciplinary perspective, with many titles bridging the gap between natural and social sciences. She is keen to continue expanding her portfolio to include emerging topics such as extractive industries, food security, urban food, industrial ecology, land grabbing and the commons. Annabelle Harris publishes scholarly books on the Environment and Sustainability list in a variety of formats, including research monographs, edited collections, handbooks, and textbooks. She commissions innovative works that explore core areas of environment and sustainability from a social sciences perspective, particularly environmental policy, climate change, sustainable business, and energy. 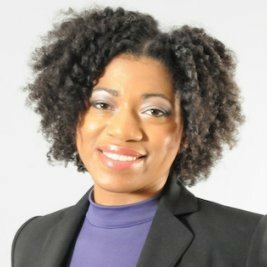 Building on the Routledge-Earthscan tradition of publishing interdisciplinary works that explore contemporary issues and debates, she is keen to expand her portfolio to include emerging topics such as environmental displacement and migration, global environmental governance, and energy policy and society. 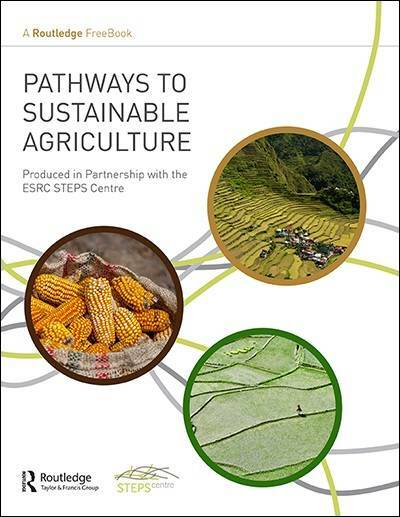 This FreeBook highlights some of the major findings that have emerged over the last decade of the STEPS Centre’s research on sustainable agriculture.